Families of critically ill hospital patients report higher satisfaction with clinician communication and a better perception of patient-centered care when the care team uses a low-cost strategy involving intensive emotional support and frequent meetings, according to the results of a University of Pittsburgh School of Medicine randomized trial presented at the American Thoracic Society (ATS) 2018 International Conference in San Diego and scheduled for publication in the June 21 issue of the New England Journal of Medicine. McGowan Institute for Regenerative Medicine affiliated faculty member Derek Angus, MD, MPH, is a co-author on the study. Dr. Angus is Chair of the Department of Critical Care Medicine of both the University of Pittsburgh School of Medicine and the UPMC Healthcare System. 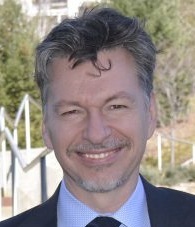 At the University, he holds the rank of Distinguished Professor and the Mitchell P. Fink Endowed Chair in Critical Care Medicine with secondary appointments in Medicine, Health Policy and Management, and Clinical and Translational Science and he directs the CRISMA (Clinical Research, Investigation, and Systems Modeling of Acute Illnesses) Center. He also co-directs the UPMC ICU Service Center, responsible for the provision of ICU services across the 20-plus hospital system.